Electronic groupsets have become increasingly popular both among recreational athletes and professional riders. 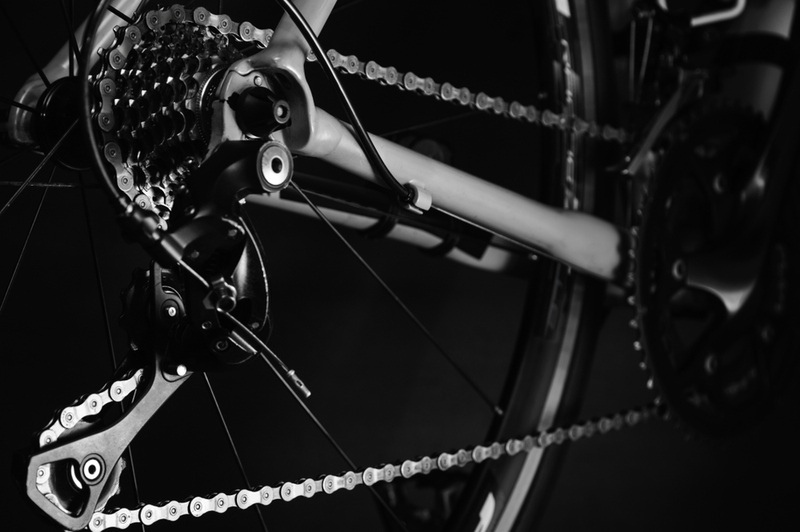 The main difference between an electronic and a mechanical groupset is that the mechanical groupset uses the movement of a cable to shift gears. On the other hand, the electronic one sends a current through a wired cable to move the derailleurs. The derailleurs can also be shifted wirelessly, SRAM’s eTap, for example. Sounds pretty high-tech, right? However, has the time come for us to use the electronic groupsets? Let’s look at the reasons why and why you shouldn’t follow the trend. It’s mechanical vs electronic! Arguably the biggest reason to use electronic over mechanical groupset is the precision of shifting. Mechanical groupsets are fine and deliver consistent shifting, but the motor in the front derailleur delivers greater power in shifting when compared to mechanical groupsets, making shifting a breeze. In addition to precise shifting, an electronic groupset can shift several gears at once. Furthermore, some electronic groupsets like Shimano’s Di2 come with the feature to customise the speed of the shifting. Plus, by holding down the lever, you can also decide how many gears you want to shift at the same time. The electronic groupsets provide you with the ability to connect with top-end bike computers like Garmin, for example. These bike computers provide useful information to the riders like battery life, and even information about which gear you are currently on. Button versatility is another reason why electronic groupsets are growing in demand. Mechanical shifters only have one set of levers in the traditional position, while electronic ones allow users to install up to three sets of shifters. To give you some context, you could fit a groupset for climbing, when getting aero down on the drops or when sprinting (on the inside of the drops). Whether you are using electronic groupsets from Shimano Di2, or SRAM eTap, be it large or small, you don’t need to manually tweak the position of the front derailleur to prevent the chain rubbing with the front derailleur side plates. The electronic groupset does it automatically, not so with the mechanical. Not everything is fine and dandy when it comes to electronic groupsets. Below are a quartet of reasons were sticking with the traditional mechanical groupset is a better choice. The most significant benefit of mechanical groupset is that there’s no battery to recharge. Electronic groupsets from Shimano and SRAM do have impressive battery life that can last up to 1,000 km to 2,000km, but you still have to charge the batteries from time to time. If that seems like a hassle to you, stick with the mechanical groupsets. Tuning and refining mechanical shifters and cables are easier than electronic shifters. Though electronic shifters adjust and realign automatically, most problems facing electronic groupsets should be sorted and fixed by a trained technician. Despite massive improvements, electronic groupsets are still relatively new, and some professional cyclists think they aren’t as reliable like the mechanical ones. It is true that technical issues are possible, but they are infrequent. This is where mechanical vs electronic, the mechanical groupsets win. Up until recently, there are only seven models of electronic groupsets from Shimano, FSA, Campagnolo, and SRAM. Also, electronic groupsets are significantly expensive than mechanical groupsets. A Shimano Di2 Groupset puts you back by a few thousand dollars, where you can simply buy a mechanical groupset for a few hundred dollars. So, stick with mechanical or upgrade to electronic? The choice is yours!